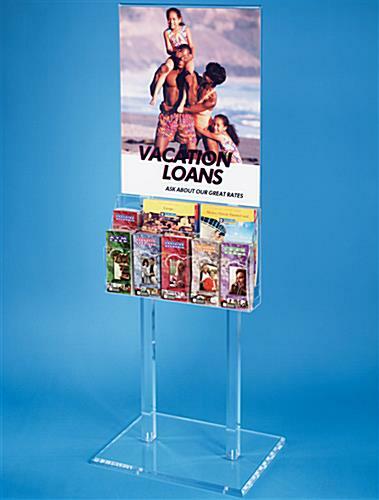 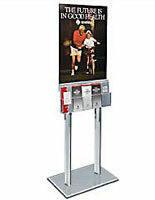 Poster Display Rack - This sign and literature rack holds (2) 22"w x 28"h posters for double sided viewing. 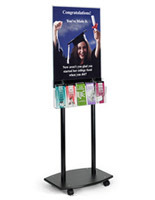 Our Poster Display Rack stands 67" tall. 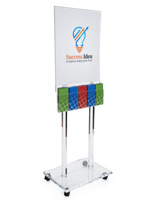 Rack base dimensions are 24" wide by 18" deep. 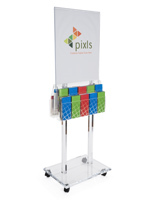 These standing racks are easy to assemble and all hardware is provided for this unit. 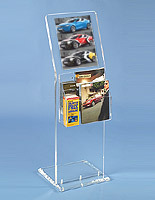 Other versions of this popular Display Unit series are available with custom headers, see related items below. 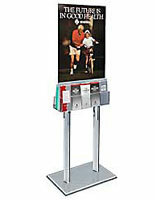 We use these at most all of our branches. 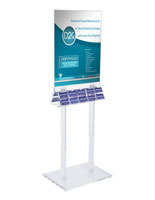 Great rack with just enough brochure slots and a nice 22x28 poster display panel. Thank you for the feedback, Sue!